Subjects to be treated of and proved. From the Roman Invasion in AD 78 to AD 360. From AD 360 to depature of the Romans AD 410 and arrival of the Saxons in AD 449. True period of Arrival of the Irish Scots Colony in North Britain proved to ve AD 506, and events to AD 560. The introduction of Christianity into North Britain and its proper date. Events to end of Seventh Centuary and Conquest of the Dalriads in the Eighth Century, with Events up to AD 842. The pretended Conquest of the Picts in AD 843. 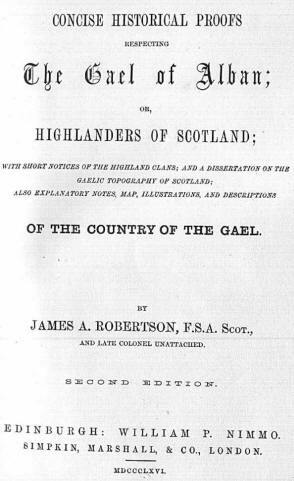 By the Irish Scots of Argyleshire, examined and refuted. The Language of the Picts proved to be the same as the Highlanders. The Gaelic Topography of Scotland, with the English significations. The Poetry, National Dress, and Music of the Gael of Alban. 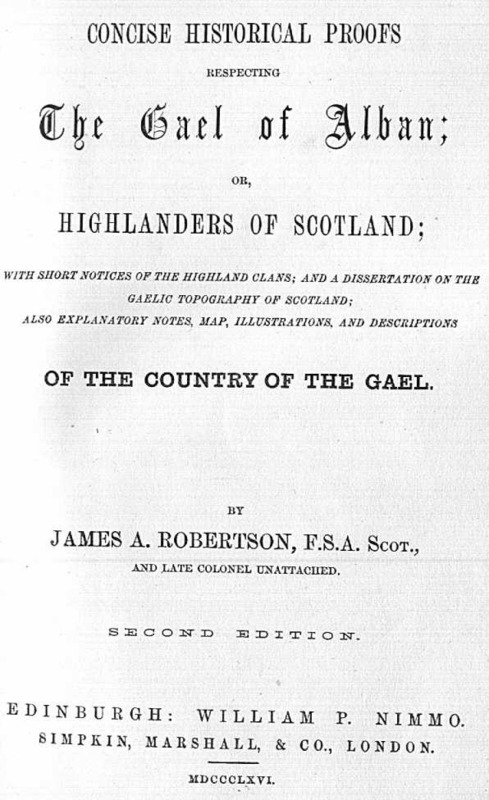 Historical and Antiquarian Descriptions of the Illustrations.